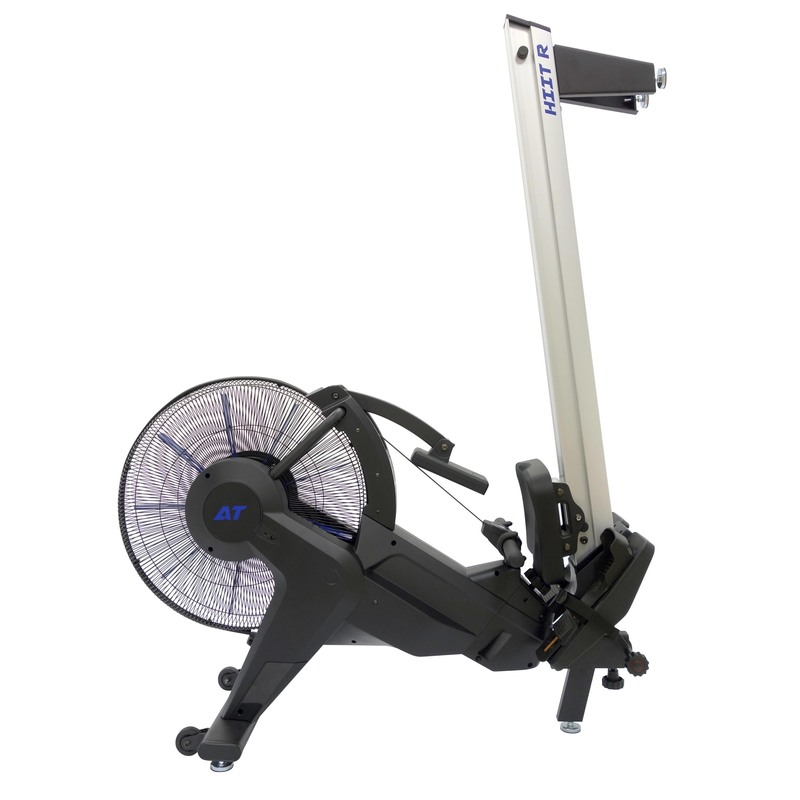 The Air TEK HIIT Rower is equipped with 12 levels of magnetic resistance that allow you to crank up the intensity of your workout. 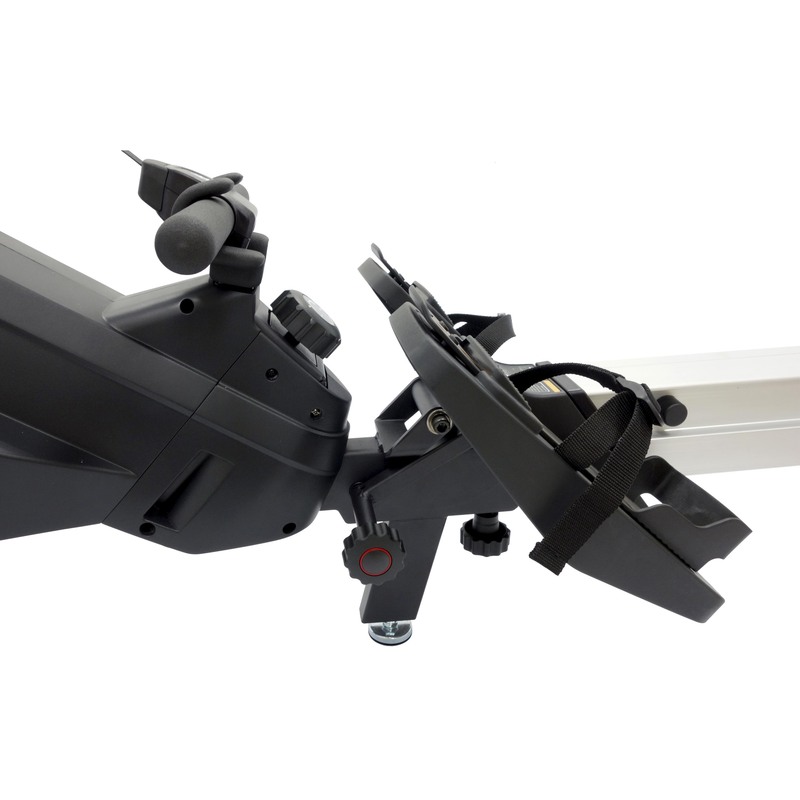 Mono-Rail Air TEK's single track aluminium l-Beam rail system with high performance bearings is stable, smooth, and silent. 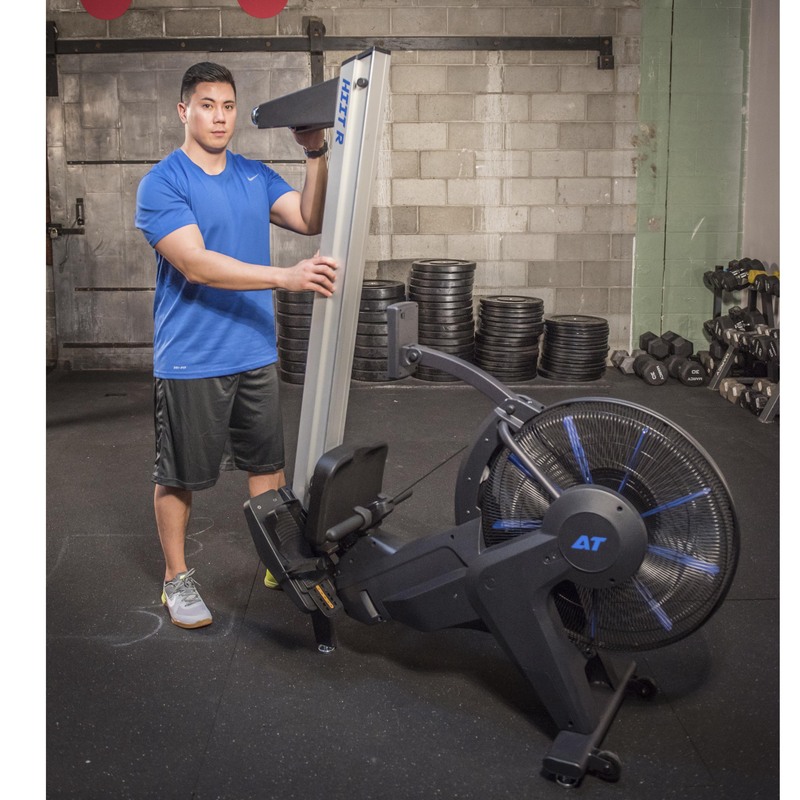 Low Maintenance Poly Belt AirTEK's modern poly belt drive ensures durability and reliability in commercial gyms. 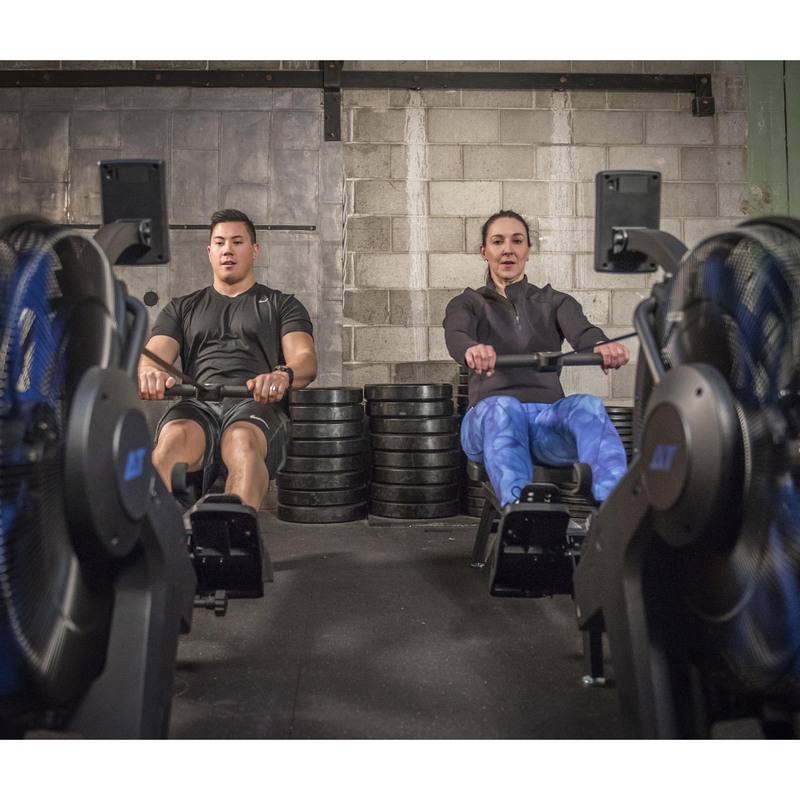 The poly belt also provides a smooth and realistic rowing experience. 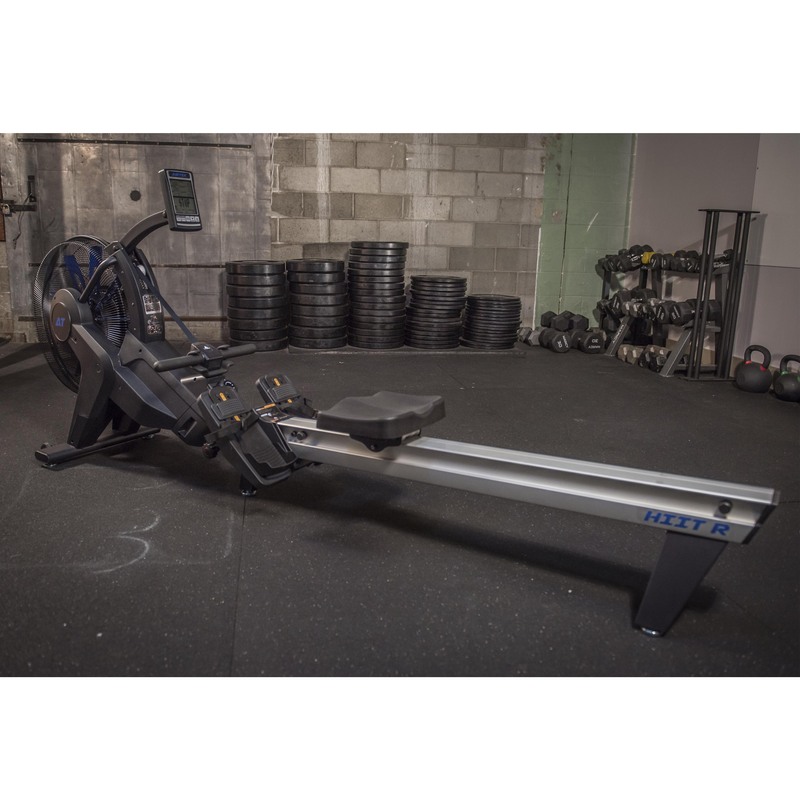 In addition, the low maintenance poly belt does not need to be frequently greased like chain driven rowers. 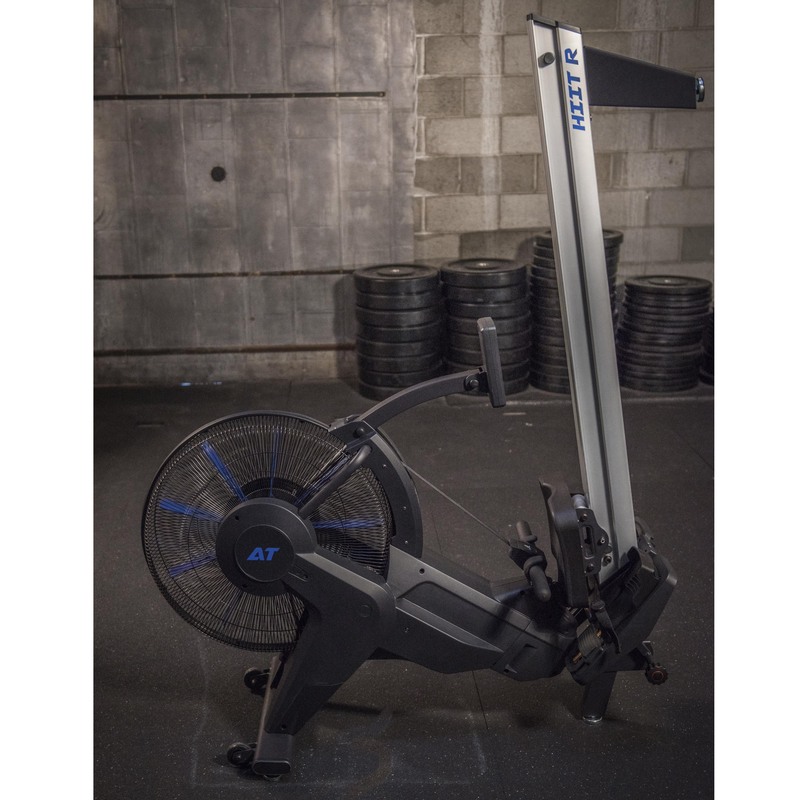 The innovative Aero-Fan with steel fan blades acts as a weighted fly wheel that provides inertia that allows for a smooth and natural rowing motion. 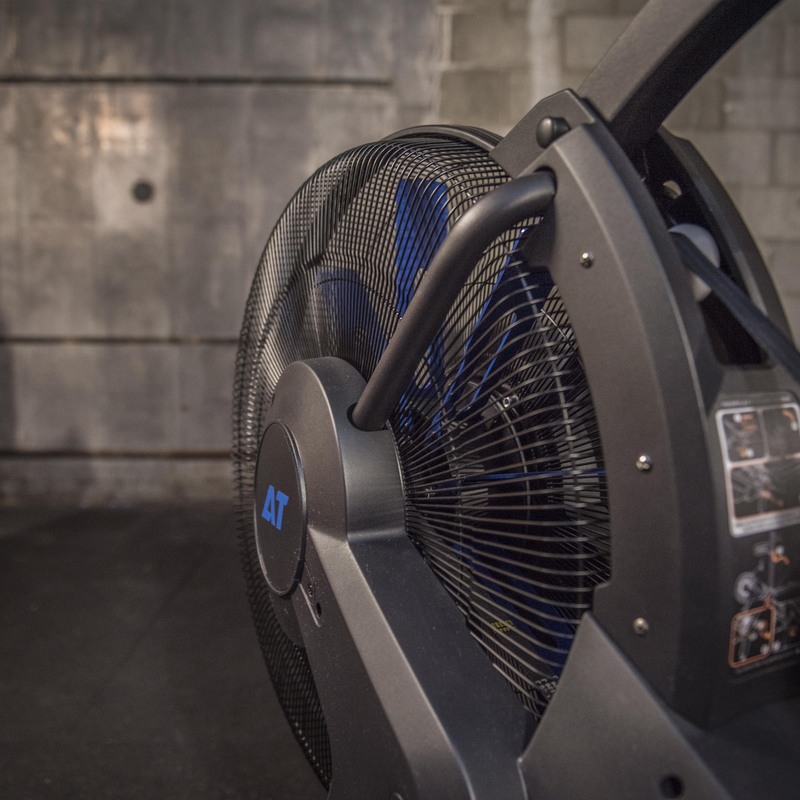 Whether at home or in the gym the Air TEK Aero-Fan will keep you in command of your workout! 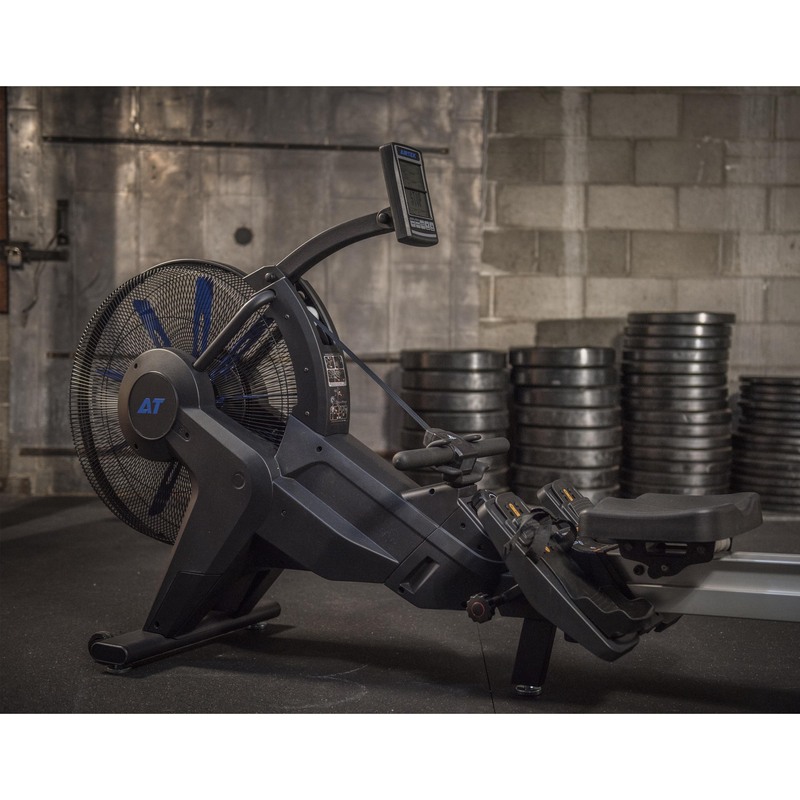 The AirTEK HIIT Rower "Quick Fold" mechanism saves space and time when storing your rower without any disassembly. 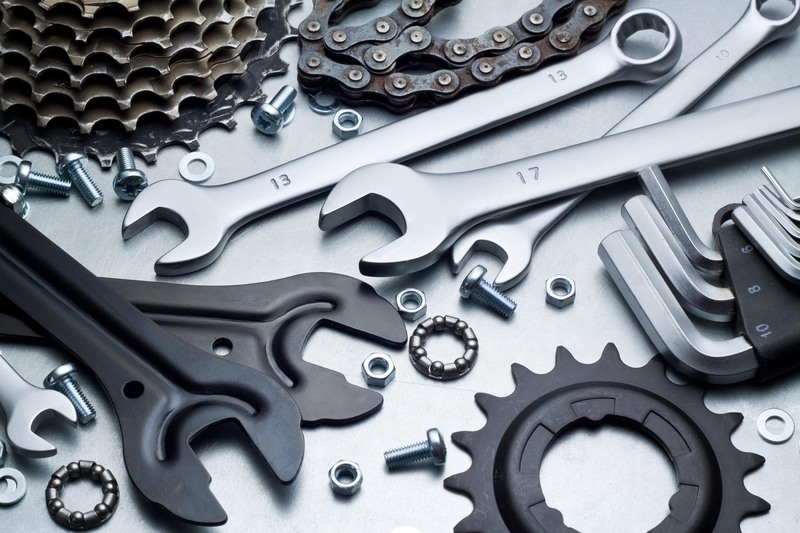 Simply Twist, Pull, & Store. 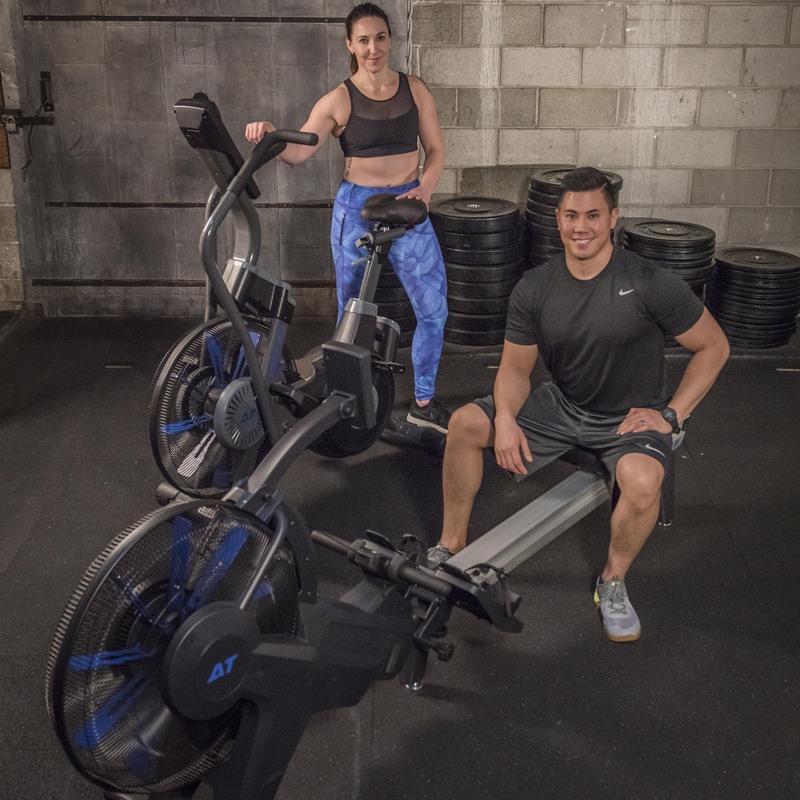 The Air TEK HIIT Rower is equipped with 12 levels of magnetic resistance that allow you to crank up the intensity of your workout. 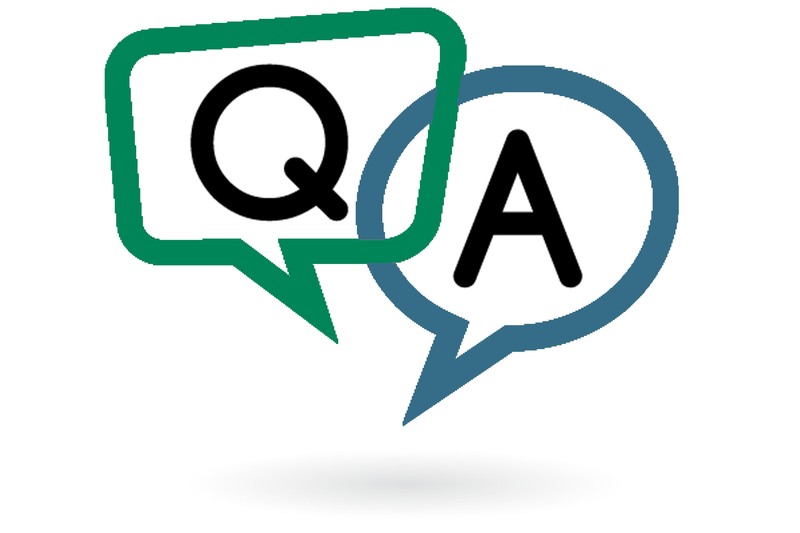 Air TEK's single track aluminium l-Beam rail system with high performance bearings is stable, smooth, and silent. 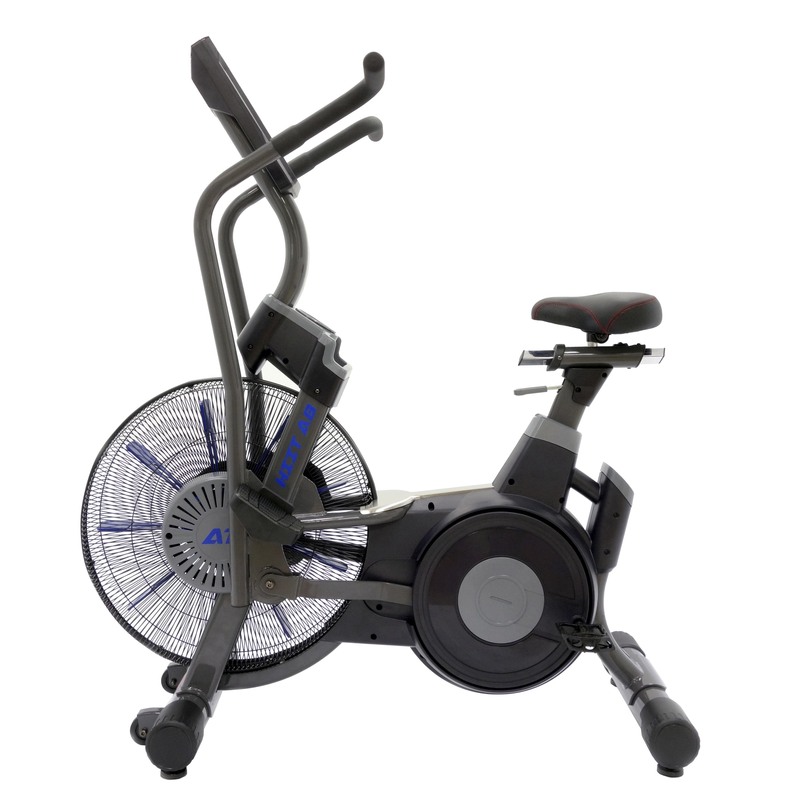 AirTEK's modern poly belt drive ensures durability and reliability in commercial gyms. 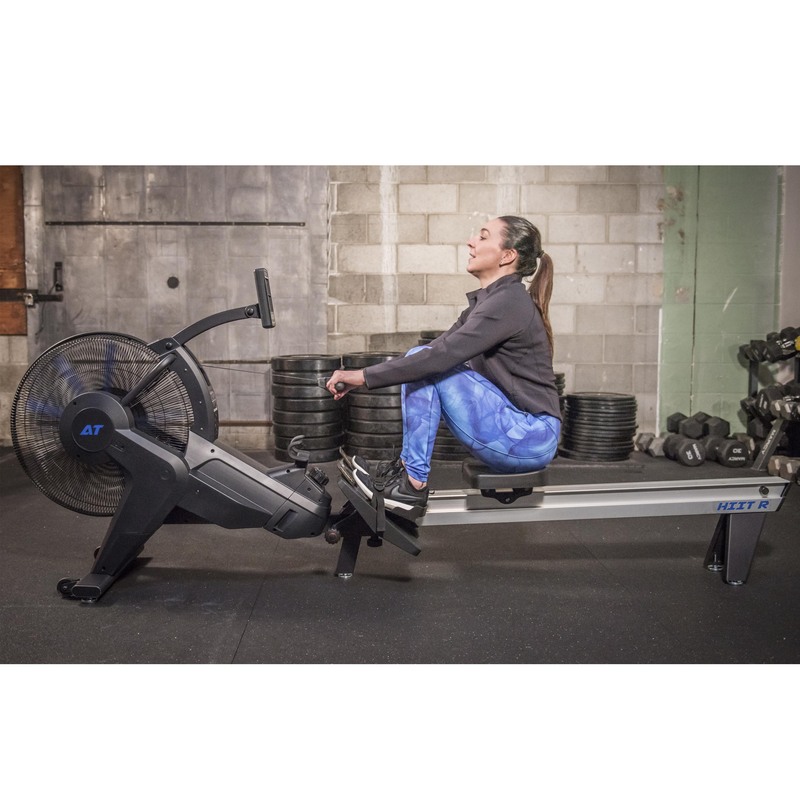 The poly belt also provides a smooth and realistic rowing experience. 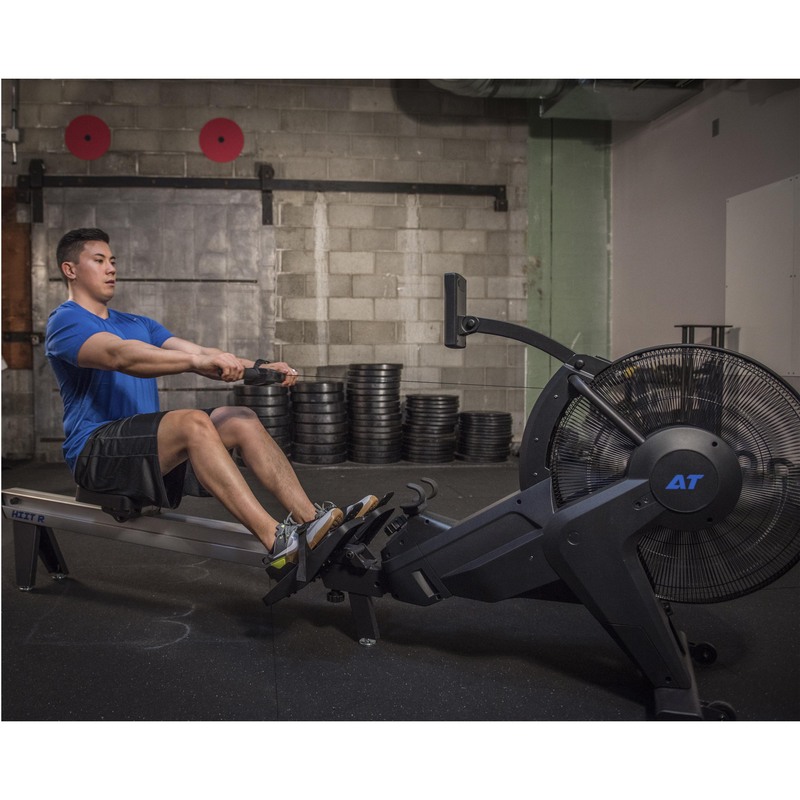 In addition, the low maintenance poly belt does not need to be frequently greased like chain driven rowers. 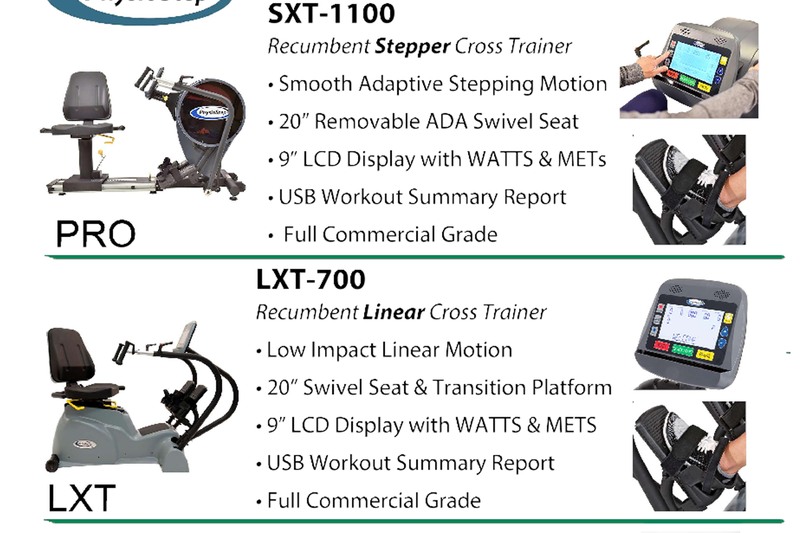 The HIIT Rower cockpit display is equipped with training and race modes that encourage you to keep pace with the computer. 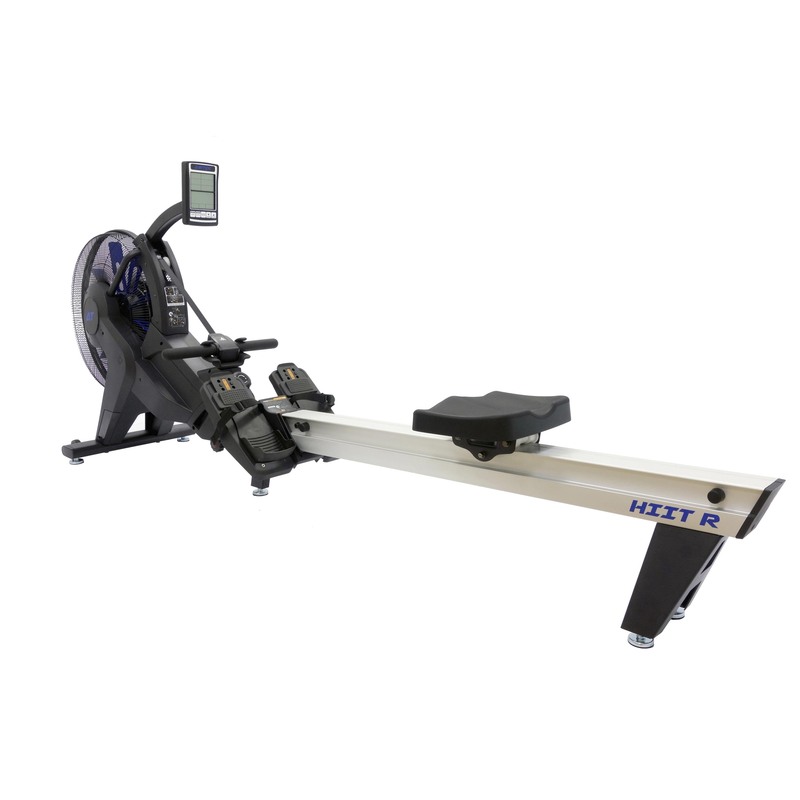 The large 6" screen allows you to simultaneously monitor Time, 500M Split, WATTS, Total Strokes, Distance Calories, Speed, Strokes Per Minute, and Heart Rate. 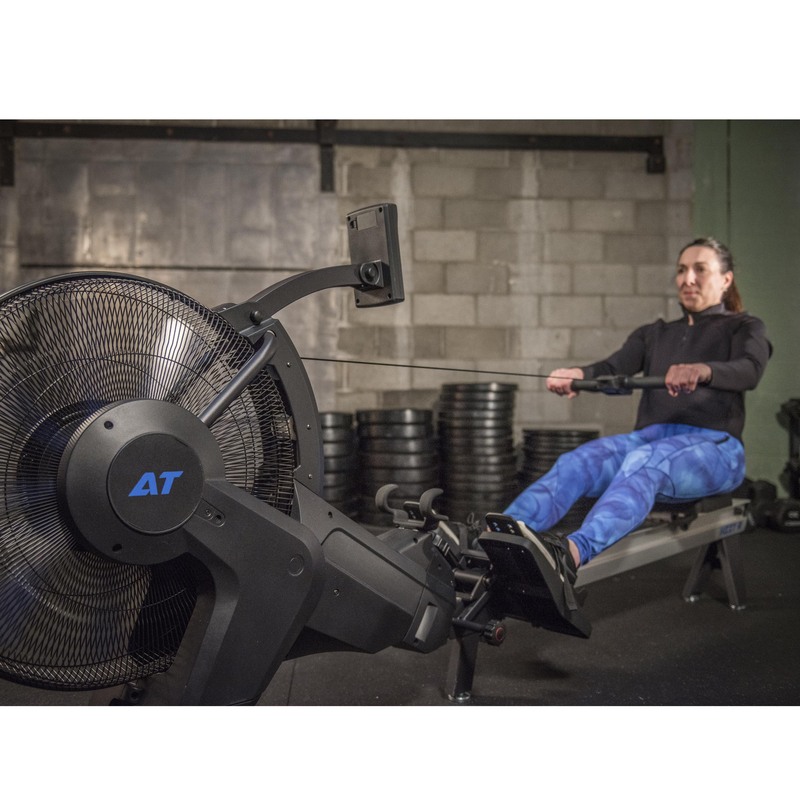 AirTEK's HIIT Rower allows you to build custom stroke, time, and distance based interval programs ideal for competitive erging. 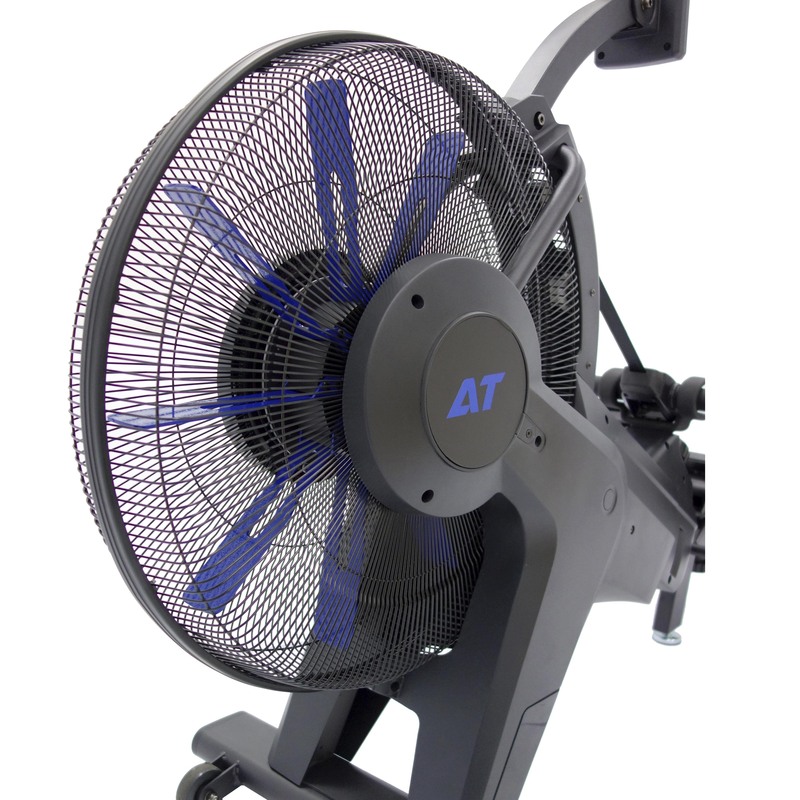 AirTek's Aero-Fan and single stage poly drive effectively compresses air resistance to ensure that the energy you exert is accurately displayed WATTS. 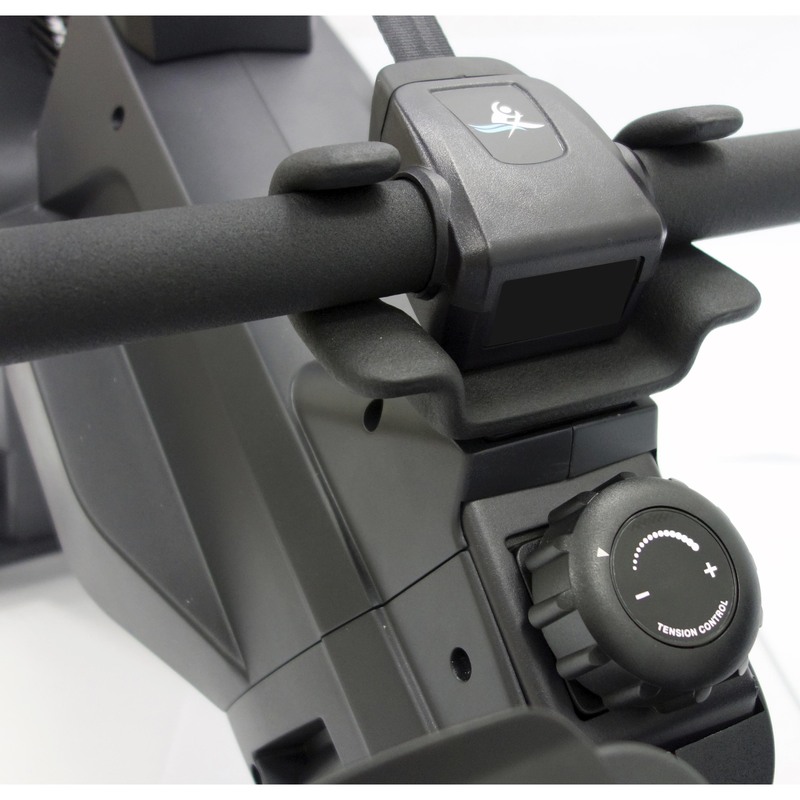 Keeping your eye on the prize is easy with the visually motivating calorie counter. 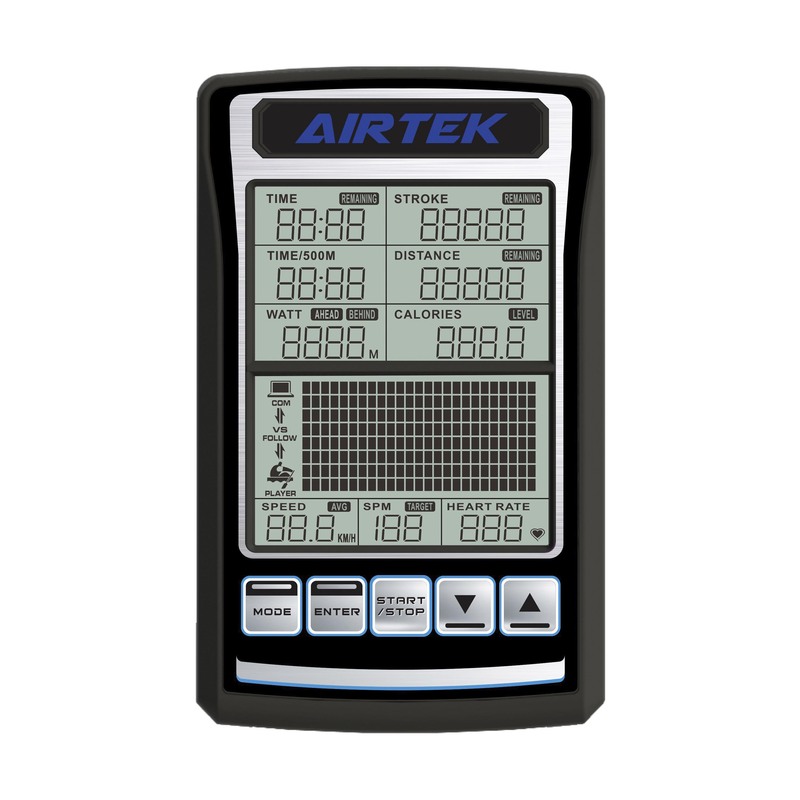 The AirTEK display is equipped with a built-in reciever that allows you to wirelessly monitor your heart rate. 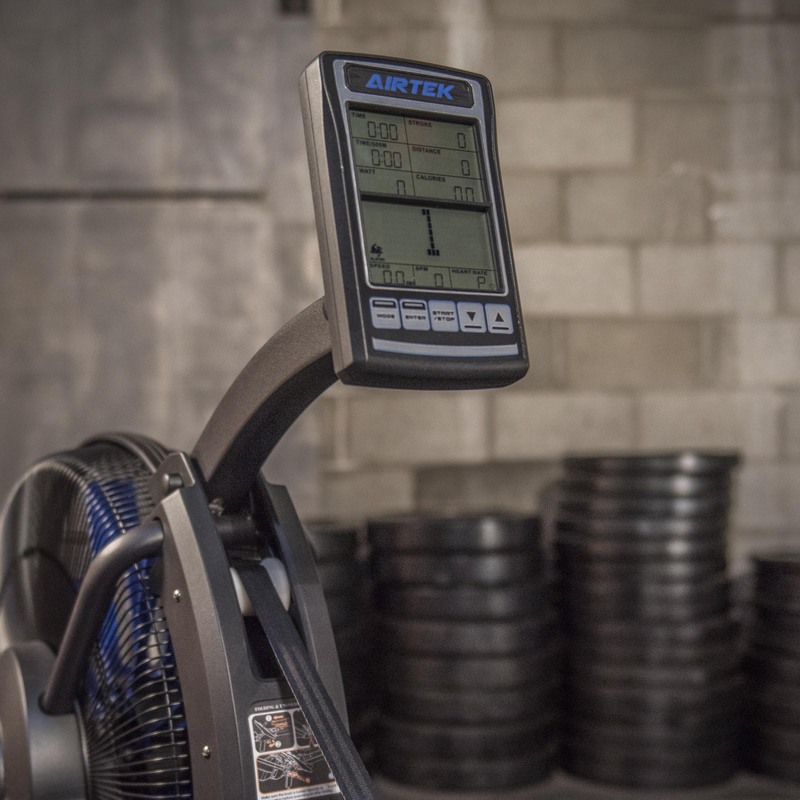 Compare the AirTEK Fitness HIIT R to the Concept2® Model D and Concept2® Model E Indoor Rowing Machines with our straight forward, easy to use comparison chart.